I got my first taste of Autumn this week. Don’t laugh! The weather in Park City is crazy. One night, tomato plants freeze. The next day, it’s 95 degrees. A trail hike behind my house is dry and dusty, and two hours later there’s a massive, booming thunderstorm soaking the neighborhood. Tuesday was a perfect example. John intended on a sunny bike ride after work. Instead, this happened. It was chilly, and the house was dim from the thick clouds blocking the sun. I lit a couple of candles, sipped wine, and watched the storm from under a throw blanket. I got a little carried away- I almost turned on the fireplace. 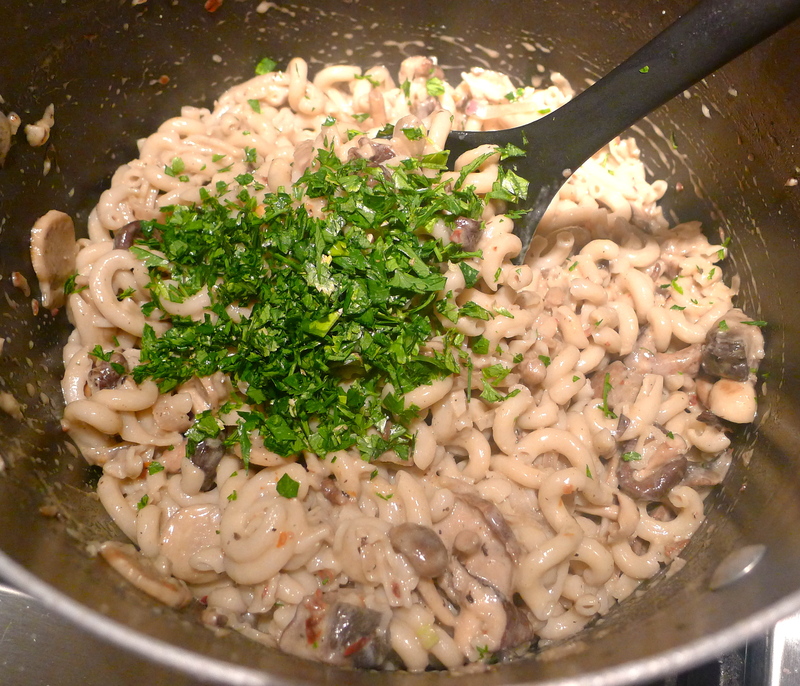 And then I remembered that it’s JULY and made wild mushroom pasta, instead. Do you like mushrooms? My first positive experience with mushrooms was when my best friend sautéed some in butter and salt when we were in junior high. They tasted exactly like butter and salt. 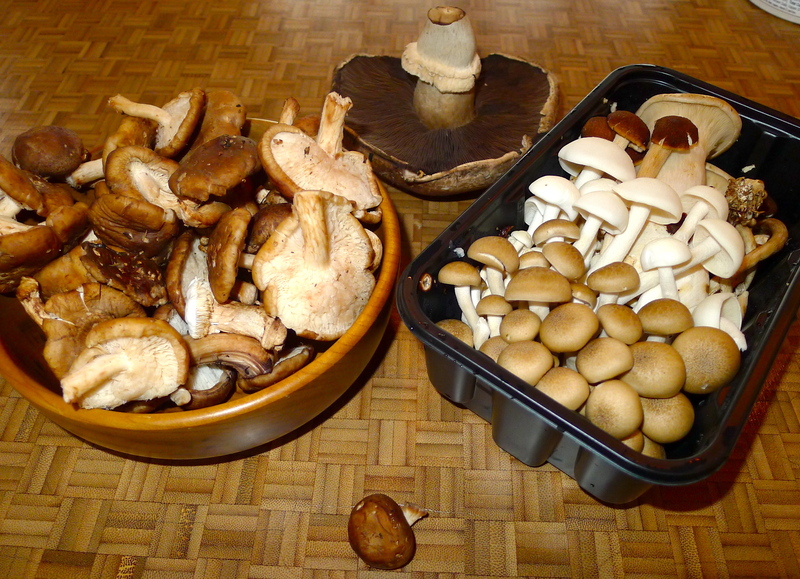 Since then, I’ve learned that there are multiple types of mushrooms, and their rich, earthy flavor shouldn’t be masked. 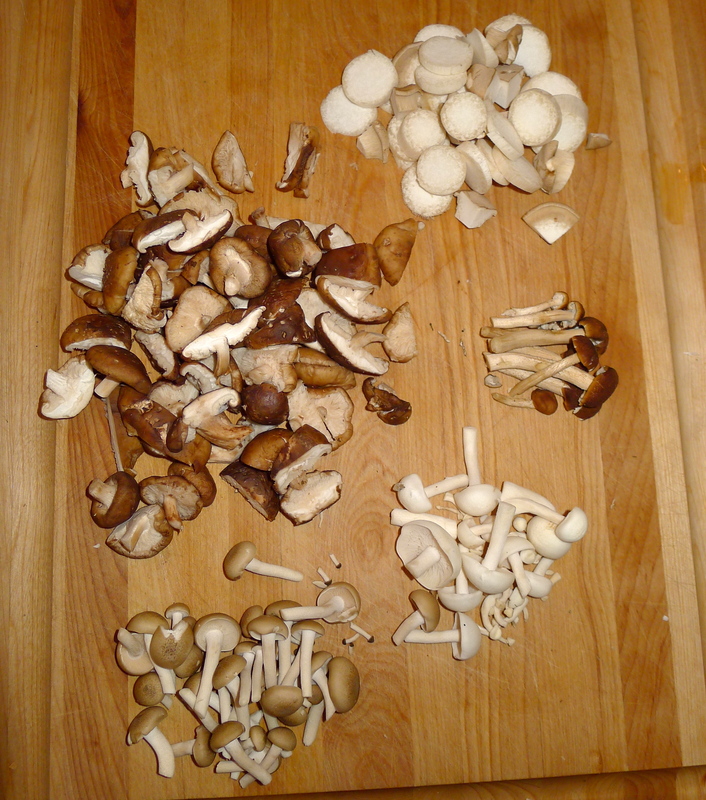 I asked John to pick up at least three kinds of mushrooms from the store. He brought home these. I’m familiar with shiitake and portabella, but honestly had no clue what the rest of them were. 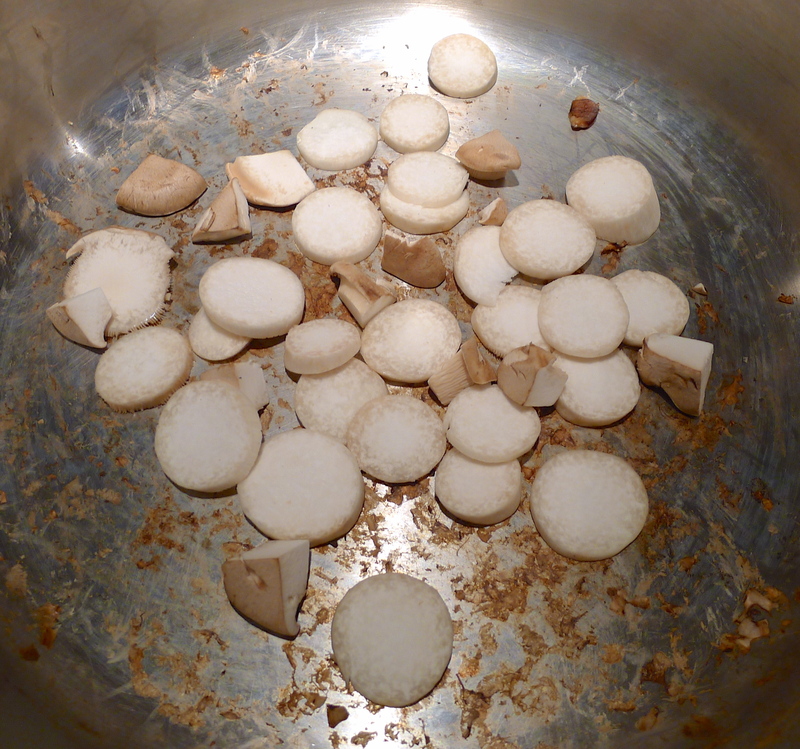 I simply cut up the bigger ones and set them aside. 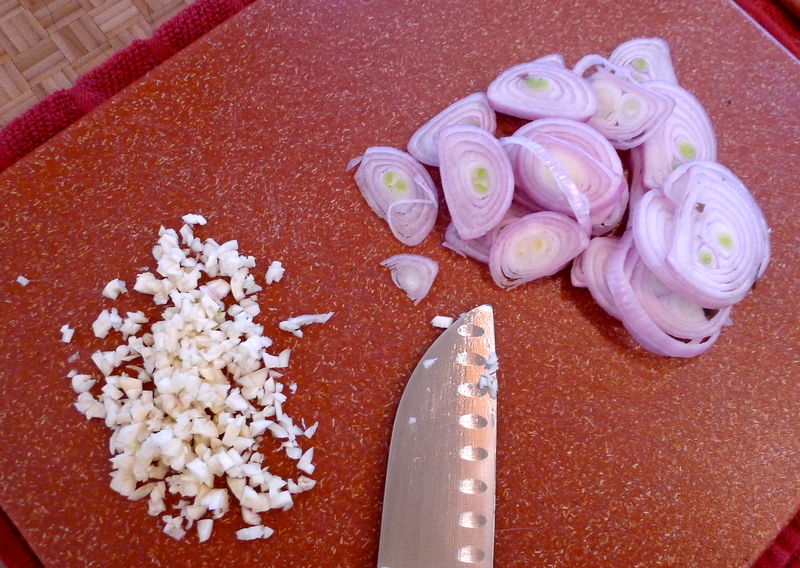 I also prepped a pile of sliced shallot and chopped garlic. Mmmmmmm. 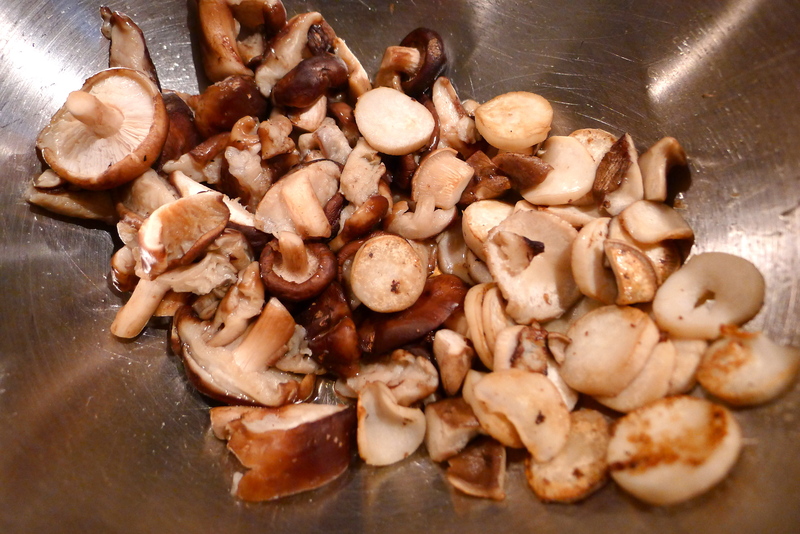 I read a recipe that suggested browning the mushrooms in a dry pan first. This seemed odd to me, but I gave it a whirl. How cute are those teeny guys? In some olive oil and butter, I got the shallot going before adding the garlic. 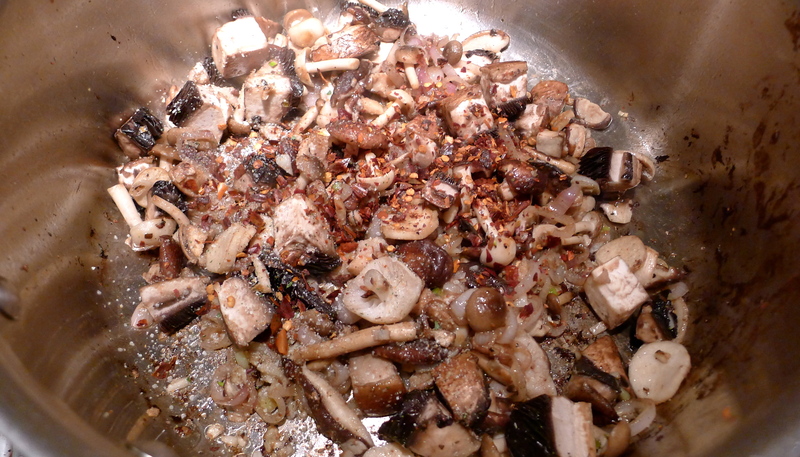 Then, I tossed all of the mushrooms back into the pan. So simple! Some garlic salt, pepper, and crushed red pepper were the only spices I added. 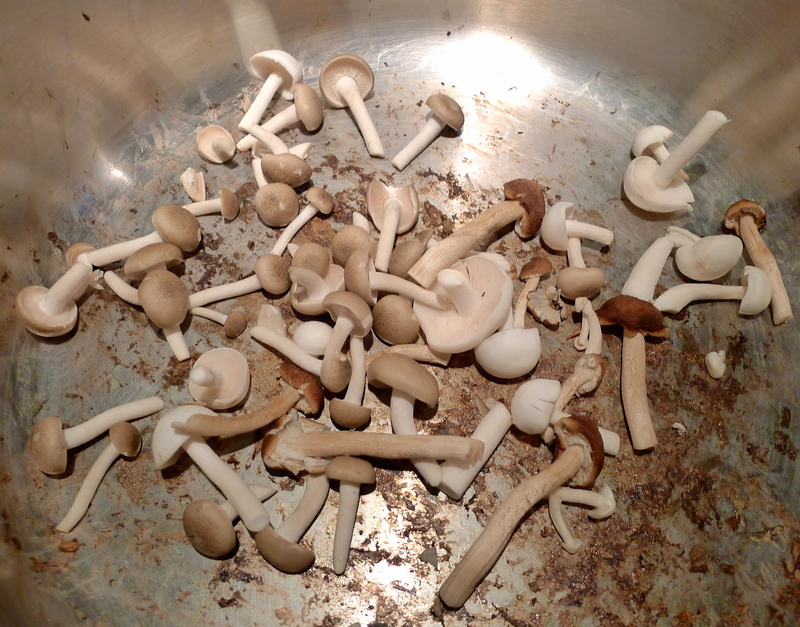 I gave the mushrooms a good splash of white wine to deglaze the pan, and let them simmer on the stove for just a minute. And then came the game-changer: a big scoop of mascarpone cheese. Mascarpone is a creamy Italian cheese. It’s got a tang, kind of like a mixture of cream cheese and sour cream. 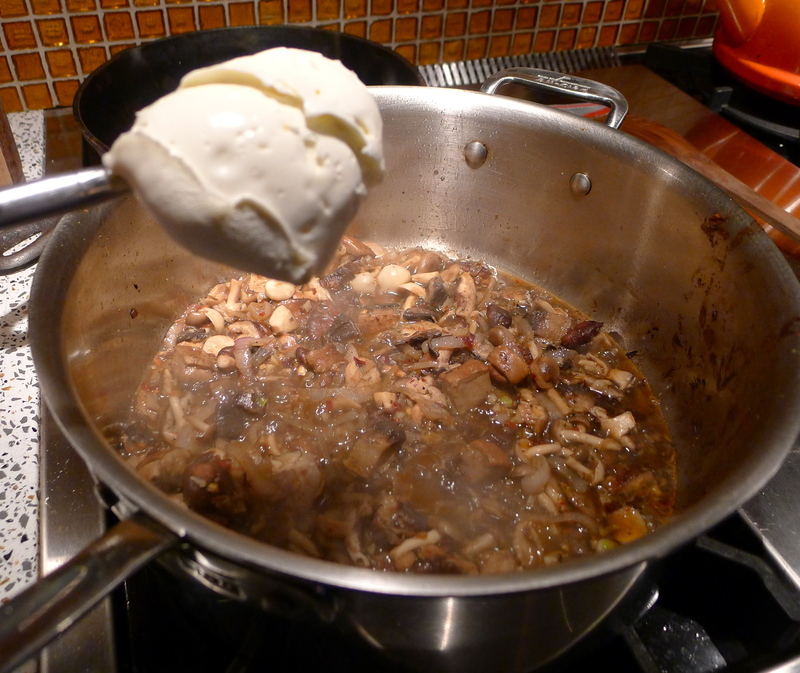 It melted into the mushrooms and mingled with the wine and turned into a magical, silky sauce. Let’s do this! 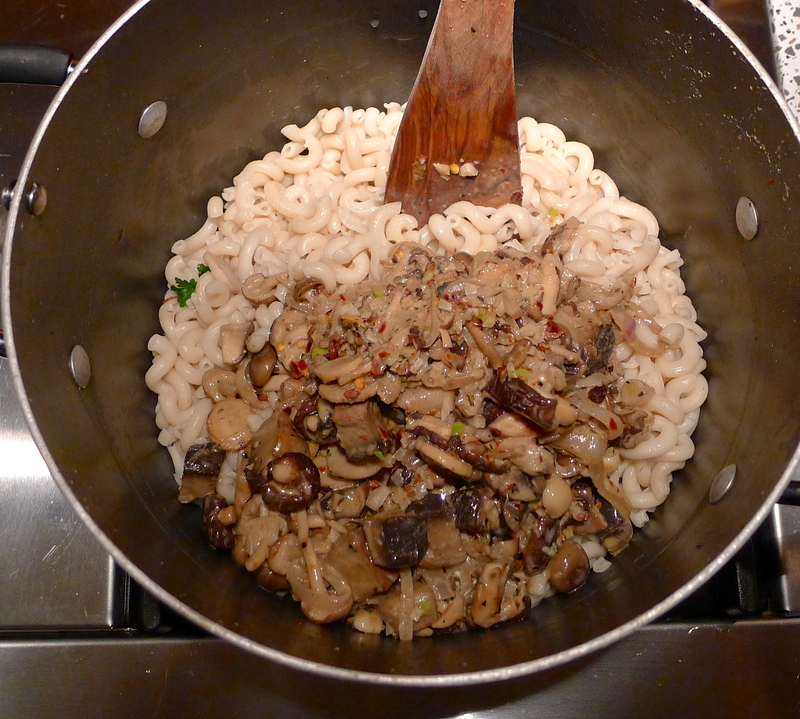 I drained my pasta (brown rice fusilli this time) and poured the entire pan of creamy mushrooms right in. 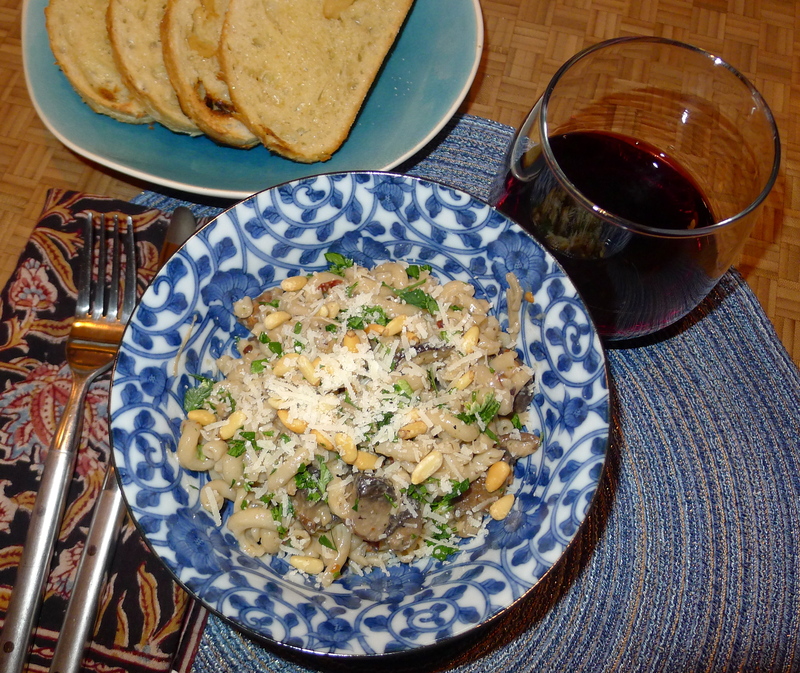 Next came a generous handful of freshly grated Parmesan cheese and fresh Italian parsley (from our garden!). 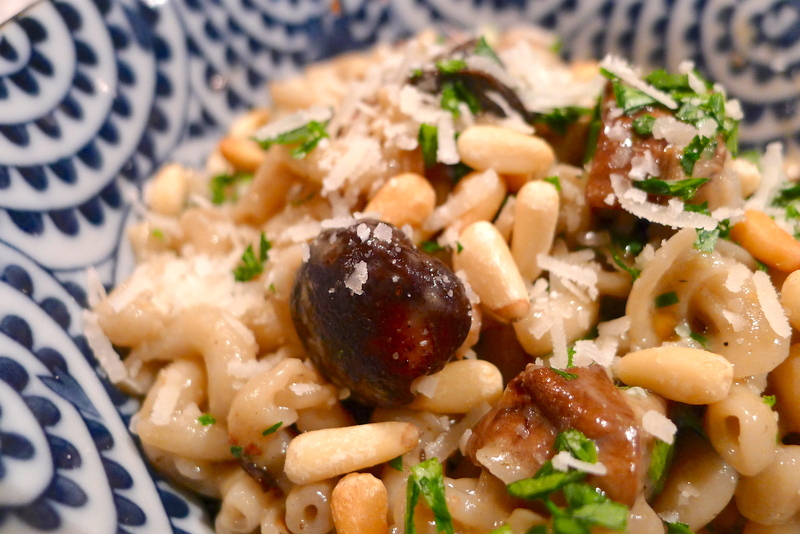 I topped each service with more parm, parsley, and a sprinkling of toasted pine nuts. The verdict? Scrumptious. The simplicity of the dish let the mushrooms be the star. Browning them first brought out a toasty flavor that added to their richness. I loved seeing all of the different types of mushrooms in each bite! 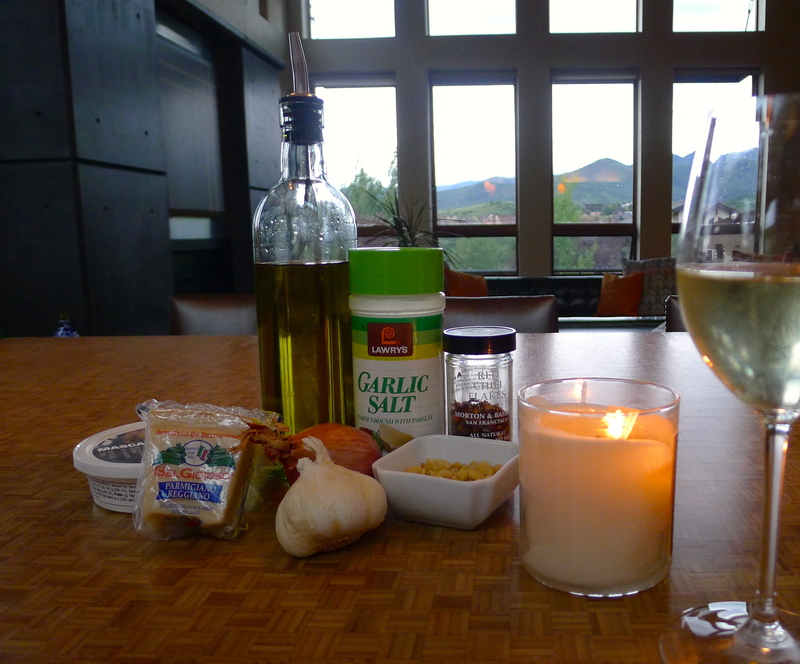 Don’t skimp on the seasonings, and definitely add the pine nuts- their crunch broke up the softer texture of the dish. 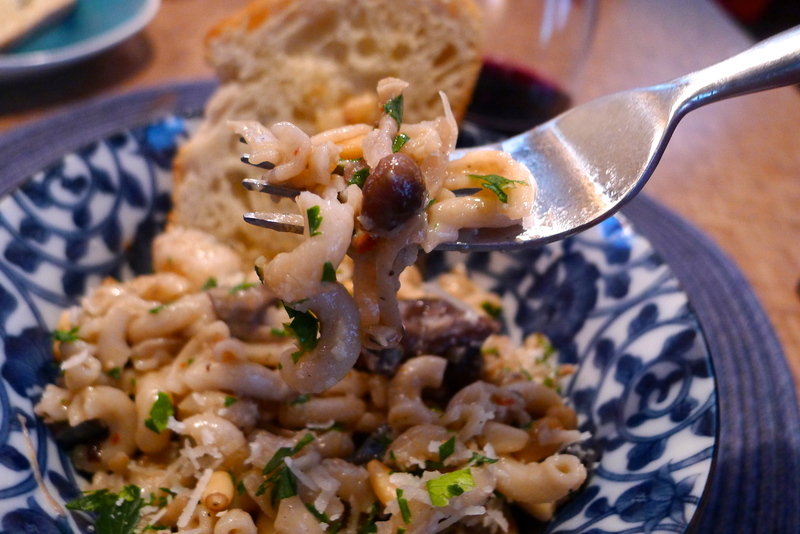 We ate our Autumn-appropriate pasta while it stormed outside. 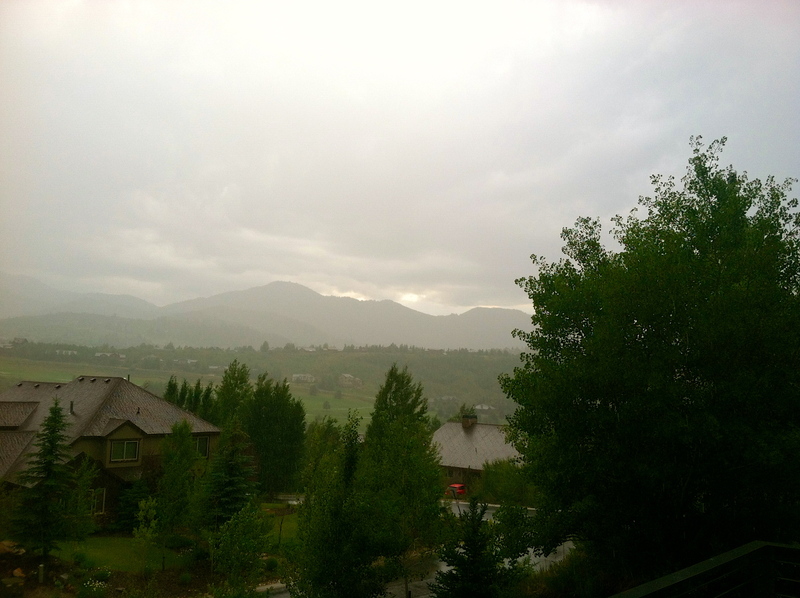 It won’t be long until snowflakes are falling in Park City- the first come in late September. We got a taste of cooler weather on Tuesday, but it’s still summer. It’s not time to sit in front of the fireplace. Cook pasta according to directions. Drain it and put it back in the pot. Set aside. 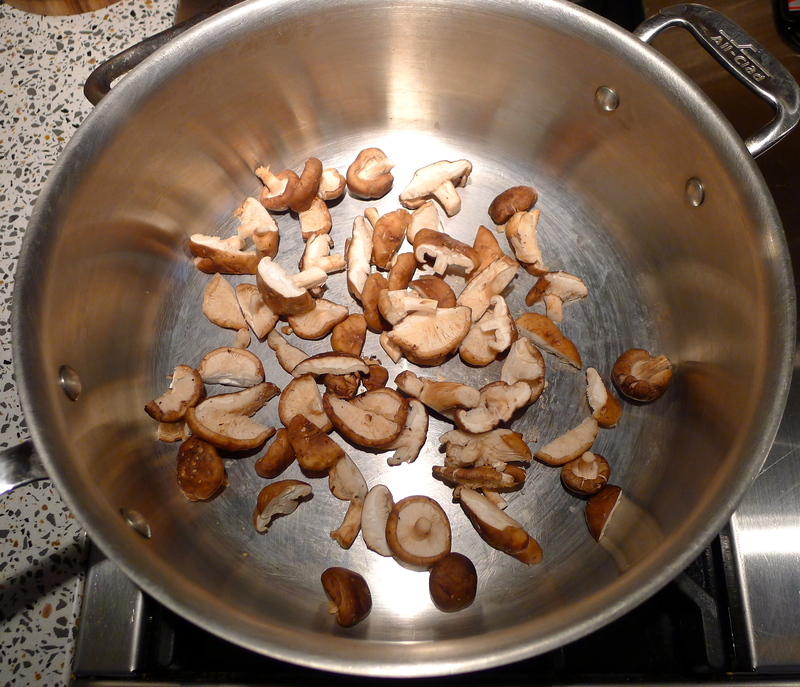 In batches, brown the mushrooms in a dry pan. You don’t want them to soften, just gain flavor. Brown bits will form on the bottom of the pan. This is good. Set the mushrooms aside. Heat the butter and oil in the pan over medium heat. 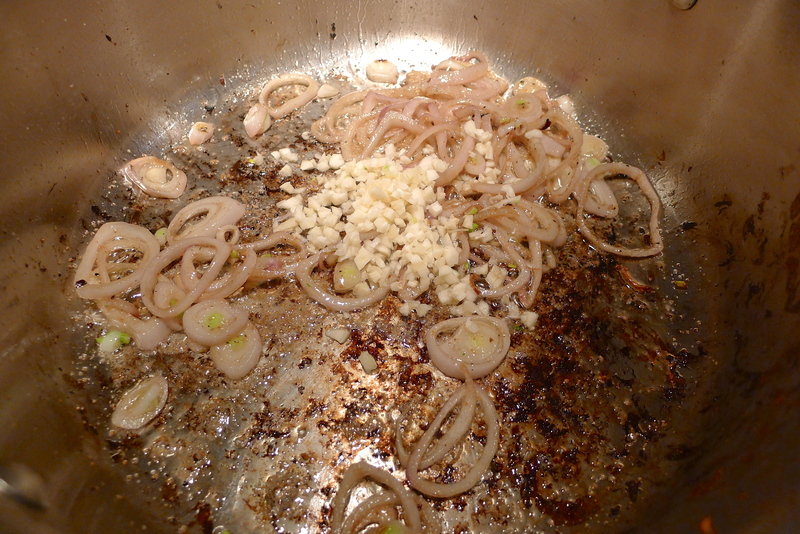 Add the shallot, then the garlic- sauté until the shallot starts to soften. 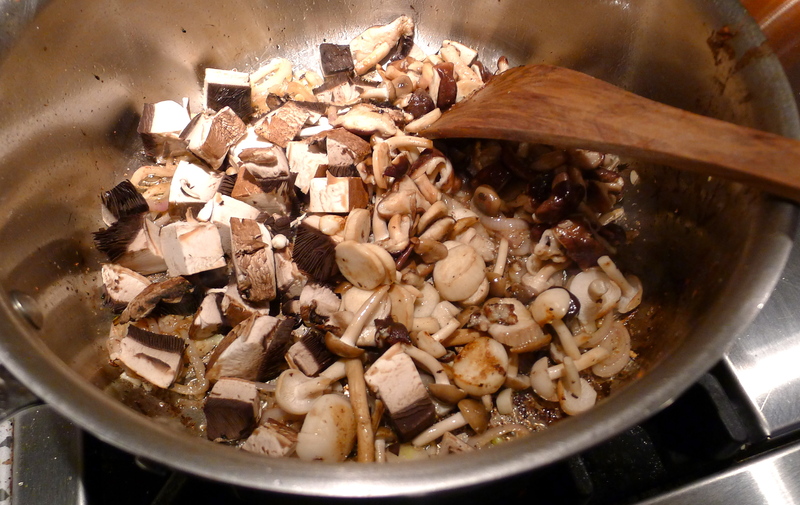 Add the mushrooms back into the pan and cook for a couple of minutes. 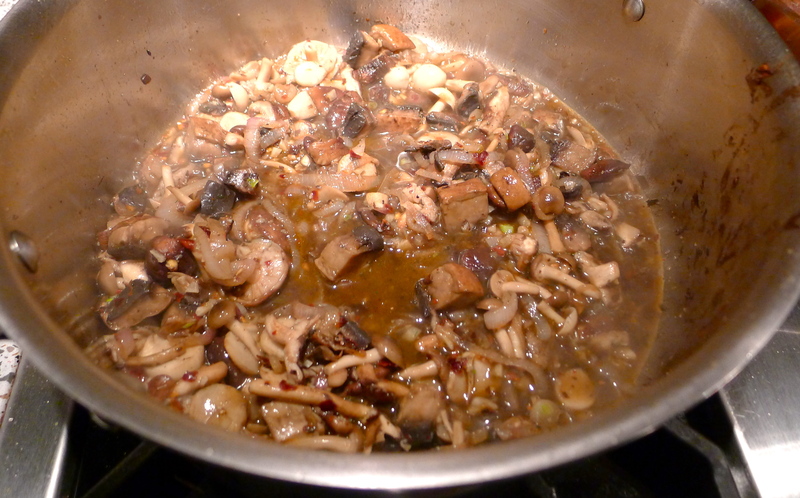 The mushrooms should still have some firmness to them. 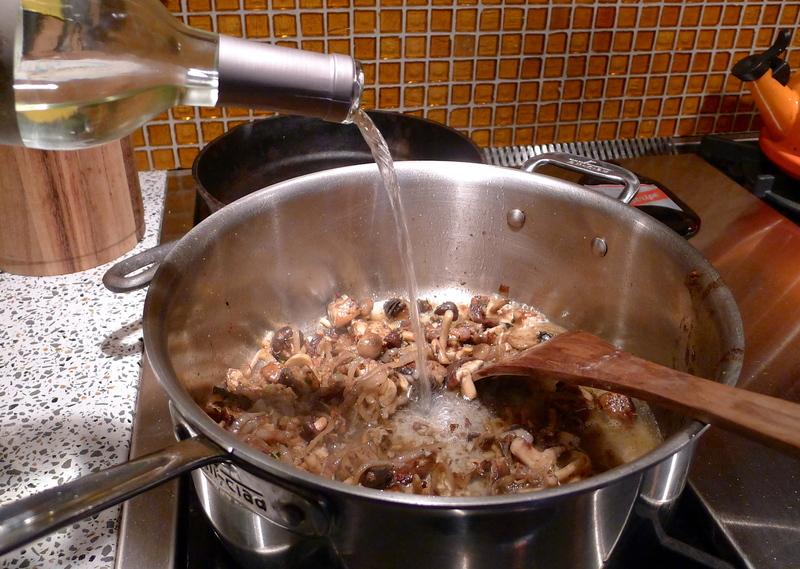 Add the seasonings, then the wine. Scrape those yummy browned bits from the bottom of the pan, lower the heat, and let the mixture simmer for a couple of minutes. Stir in the mascarpone cheese. 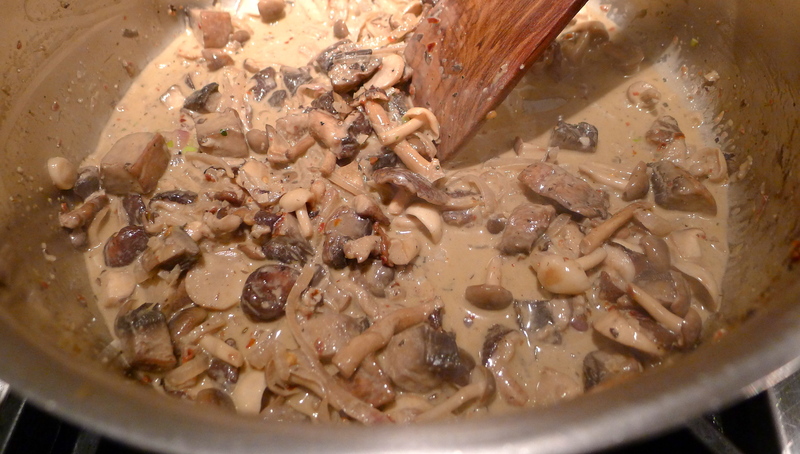 Pour the mushroom sauce over the drained pasta. 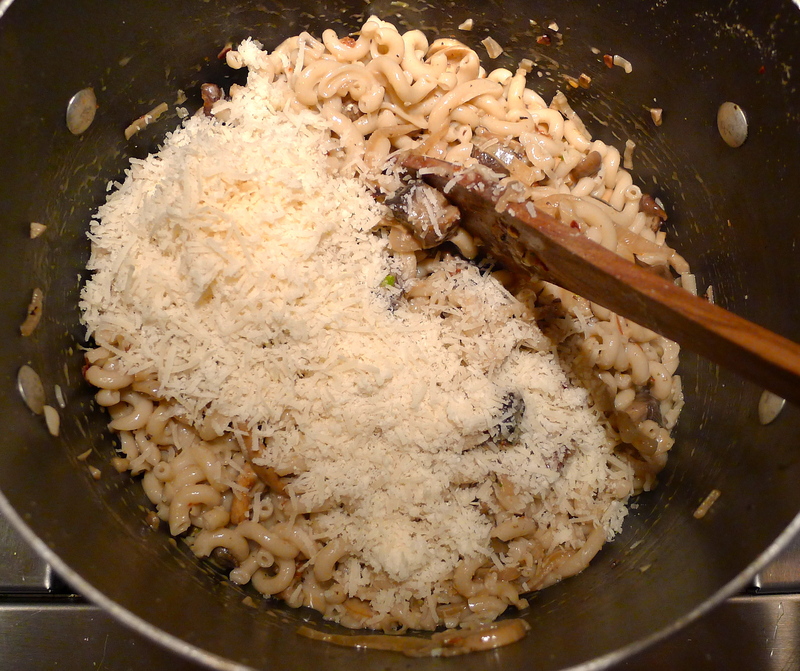 Add the Parmesan and parsley, and mix well. 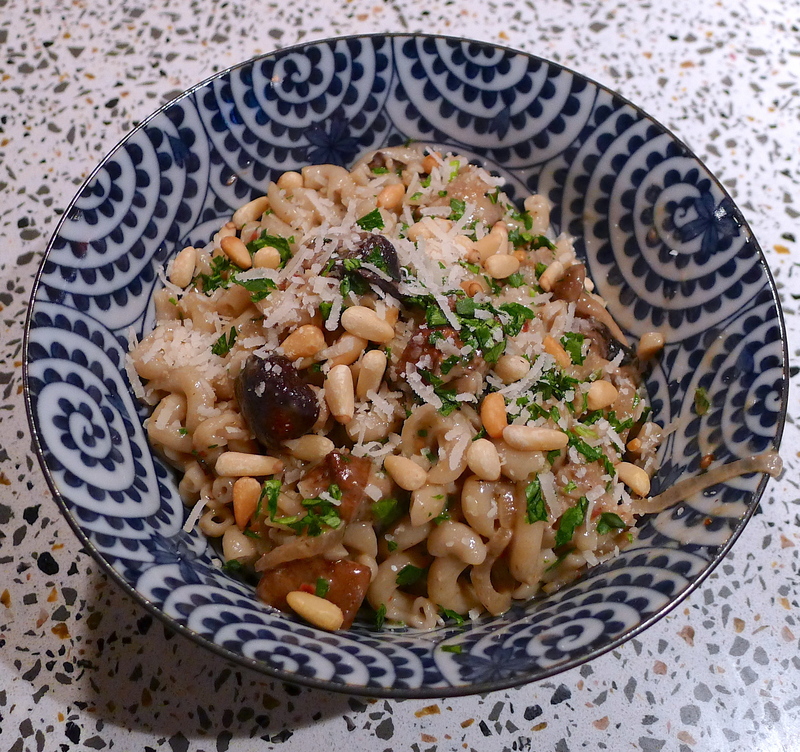 Serve topped with more parm, parsley, and pine nuts. Enjoy during a summer storm but don’t turn on the fireplace. YUM! Next postThis must be the place. YUM–Huge mushroom fan–I’m pinning this one! That looks soo yummy! I recently had the opportunity to visit a mushroom farm and have been on such a mushroom-kick lately. Yummers!